Saturday afternoon, Adam Dulak, a 2009 Pitt graduate, brought his uncle and grandfather to Notre Dame Stadium to watch the Panthers play the Fighting Irish. That is, speaking metaphorically. Steve Elias, Dulak’s grandfather, and Mark Elias, Dulak’s uncle, have both passed away, leaving him a football legacy that he brought with him to South Bend, Indiana in the form of a photograph. Steve Elias, the family patriarch, grew up in Windber, a small town near Johnstown, and as a Catholic growing up in rural America during the 1920s and 1930, became a Notre Dame fan, as many others did. As times changed, so did the allegiances of the family. 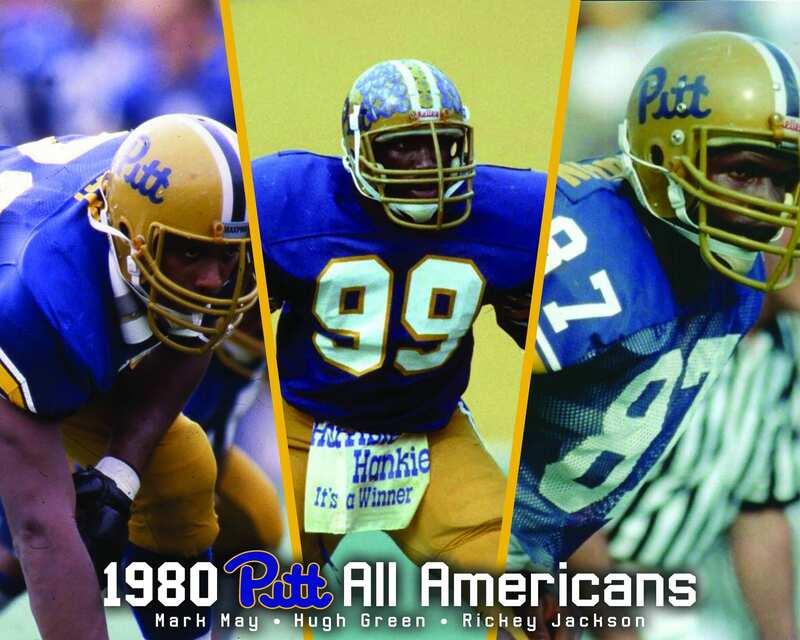 Mark Elias was a Pitt fan and grew up on the halcyon days of Tony Dorsett and Dan Marino at Pitt Stadium. That was the tradition that was passed down to Dulak, who grew up a Pitt fan before attending the university. Steve Elias continued to support Notre Dame, but became a staple in the trio’s ventures to Pitt Stadium, which came to a dramatic conclusion in 1999, when the three attended the final game at Pitt Stadium together. It’s a night many still remember fondly. The Panthers defeated Notre Dame, 37-27, the students rushed the field and hauled down the goalposts, and Dulak, his uncle and grandfather were among the final people left in their seats as they took in the stadium’s final moments. Someone snapped a photograph. Fast forward 19 years, and Dulak was preparing for a journey to watch the Panthers play at Notre Dame, something his grandfather and uncle had never been able to do. He thought, “why not take something of them with me?” and grabbed the photograph, some tape and formed a plan. After locating his seat, Dulak used a piece of two-sided tape to secure the photograph to the underside of it, hoping to leave his family legacy at Notre Dame for longer than four hours on Saturday after noon. That’s exactly what happened, and it was found there by Notre Dame Director of Facilities Brian Fremeau. Maybe it was the obvious age of the photograph or the strange combination of Steve Elias’ Notre Dame jacket and Pitt hat, but Fremeau decided that this was more than another piece of stadium litter and that it warranted a follow-up. Fremeau does not have a particularly large social media following, with just 723 people following him on Twitter. But he sent out a photo of the photo and hoped that it might find its way back to the Pitt/Notre Dame family that had left it behind. Fremeau sent that tweet on Tuesday at 12:44 p.m., and just four hours later, Dulak had already been made aware of its presence. “It’s crazy that it fell off, he found it and that someone didn’t just pitch it out and sort of realized the significance of it,” Dulak said. When the two finally got in touch, Fremeau asked Dulak what he wanted him to do with the photo. Dulak told him the initial plan and asked if there was any way the photo of his uncle and grandfather could stay at Notre Dame for a little while longer.